This is such a happy quilt! I designed the pattern for this quilt around fat quarters of "Chasing Butterflies" designed by Lizzie House for Andover Fabrics. 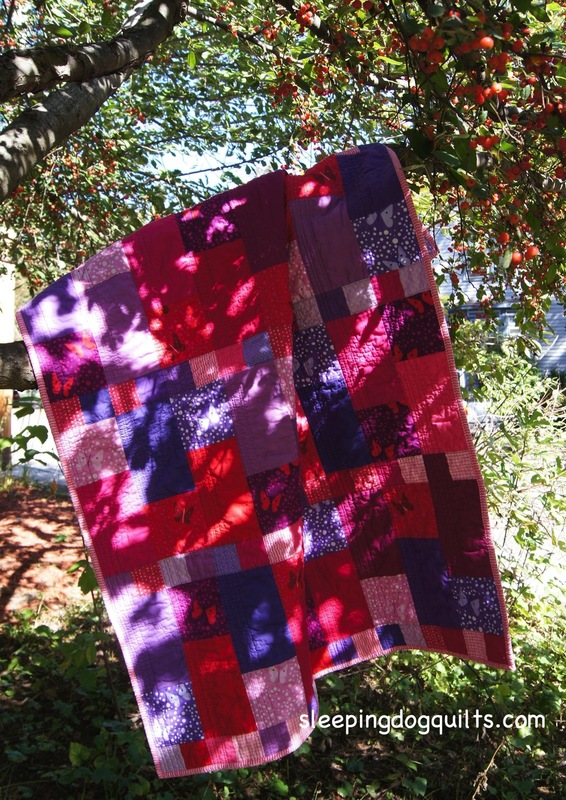 I had intended to fussy cut all the blocks from the "Chasing Butterflies" fabric. A 5 x 5 inch square was perfect for capturing pairs of butterflies, so that was my starting point in this design. As it turned out, because I only had fat quarters, I wasn't able to just fussy cut pairs of butterflies. Most of the blocks only have 1 butterfly. But one is good too!